In July, a community-led Kenyan conservation organization called Mikoko Pamoja, Mangroves Together, was among the 2017 Equator Prize winners. 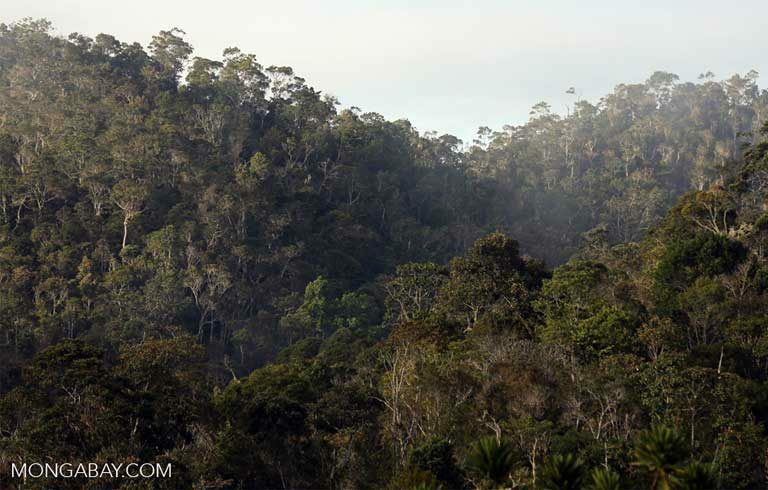 The program was singled out as an exceptional REDD+ project, Reducing Emissions from Deforestation and Forest Degradation, a global United Nations initiative to combat climate change. 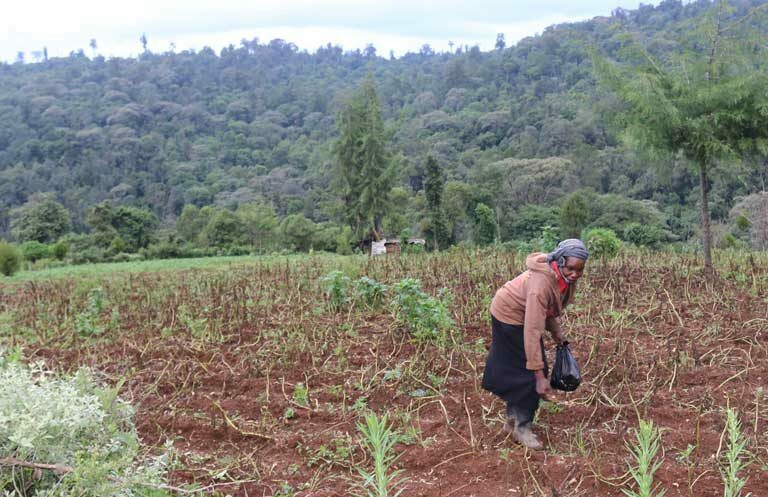 Mikoko Pamoja’s effort, carried out on the southern coast of Kenya about 50 kilometers from Mombasa, is the first community-run REDD+ project of its kind in the world. It has been validated to generate and sell mangrove carbon credits to companies and individuals globally. REDD+ is a U.N. policy mechanism that helps developing countries reduce greenhouse gas emissions on forested lands. Negotiated under the U.N. Framework Convention on Climate Change (UNFCCC) in 2007, the initiative was expanded in 2010 to include sustainable forest management, and conservation and enhancement of forest carbon stocks among its tools. At the time, the UNFCCC also established the Green Climate Fund (GCF), a financing mechanism for advancing low-emission, climate-resilient solutions in the developing world. Developed countries agreed to mobilize $100 billion per year for GCF by 2020. As of 2017, about $10.3 billion had been pledged for GCF by 43 national governments, though a mere $6.3 million had been disbursed. Since 2008, over $4 billion in support for REDD+ has been pledged and partially distributed through multilateral funds or programs. That was how things stood after the GCF Board meeting in Songdo, Korea this April. But as REDD+ projects gear up in Africa, and in developing nations around the globe, the long term future of the GCF, REDD+ and other U.N. climate programs are in doubt due to the election of Donald Trump — the only current major world leader, to outspokenly deny the reality of human-caused global warming. The July 2017 Green Climate Fund board support for the early phases of REDD+ acknowledged that current funding levels are inadequate for supporting the mechanism, and the GCF board called for action to mobilize significant multiple sources of funding from public, private, domestic, international, multilateral and bilateral sources. In March, 2017, the Trump administration’s “skinny budget” proposed the elimination in its entirety of the Global Climate Change Initiative (GCCI), established by President Obama to integrate climate change financial considerations into U.S. foreign assistance through a range of bilateral, multilateral and private sector mechanisms. The GCCI, according to Meena Raman of the Third World Network (TWN), was part of Obama’s plan to provide the “fast-start finance” needed to address climate change agreed to at the 2009 Copenhagen climate summit. The Trump administration, in its March 2018 budget proposal called for combined cuts of $10.1 billion to the two primary agencies doing international climate work, the U.S. State Department and U.S. Agency of International Development (USAID). Trump’s proposal to end the GCCI, and eliminate all international climate-related spending (a cut of at least $1.3 billion dollars), has yet to be acted on by Congress, which has until October 1st to approve next year’s budget, though that vote could be delayed until December. Many Democrats in Congress were quick to reject the administration’s proposed cuts. “I am deeply disappointed and dismayed to find out that despite the concerns raised by bipartisan Members of Congress… President Trump appears determined to gut U.S. national security by slashing the State Department and USAID,” said Democratic Senator Ben Cardin of Maryland. Under Obama, the GCCI funding request for 2016 was $1.3 billion. It roughly allocated $500 million for the GCF; $12 million for the UNFCCC/IPCC (Intergovernmental Panel on Climate Change); $168 million for the Global Environmental Facility (GEF); $170 million for the Clean Technology Fund (CTF); and $59 million for the Strategic Climate Fund (SCF). It also included $25 million for the Montreal Protocol and $348 million for international climate change programming at USAID. Another $459 million was allocated for international climate programs at the State Department. Trump’s proposed 2018 “America First” budget would eliminate all international climate change programs, climate change research and partnership programs. Ending GCCI would reduce to zero all U.S. payments to all U.N. climate change programs, including the GCF, GEF, CTF, and SCF. Trump also proposes discontinuing all funding to Obama’s Clean Power Plan, reducing the likelihood of the U.S. meeting its Paris Climate Agreement carbon reduction pledge. How much damage this might do to REDD+ in the short and long term remains uncertain. “The U.S. cutbacks to REDD+ are hitting some of the key countries that directly benefitted from U.S. support on REDD+, such as Malawi. But for the UN-REDD+, we do not envisage the Trump proposed cuts as being a major [immediate] threat, as UN-REDD+ is mainly funded through bilateral initiatives from Germany, Norway, the UK, and Japan,” said Tim Christophersen, a lead expert of the United Nations Environment Programme (UNEP) on Forests and Climate Change. USAID is investing $1.8 million in REDD+ and $100,000 in REDD+ preparedness in Malawi as part of its “fast track” climate finance program. This would likely be lost if Congress votes to approve Trump’s proposed aid cuts. Of the $10.3 billion promised to GCF by the world’s nations, $3 billion was originally pledged by the United States. President Obama rushed to honor that commitment, at least partially, paying out $1 billion before leaving office. But Trump says he will renege on the remaining $2 billion GCF pledge.